Unsurprisingly, the message of Silly, but it’s fun is that you don’t have to spend a fortune in order to have an enjoyable Christmas – all you need is the company of good (no pun intended) friends. The Goods, of course, have no other choice than to economise (Tom scavenging a Christmas tree – or at least part of it – from the greengrocers, Barbara using her craft skills to make a yule log with a rather substantial Robin). But on the plus side, it does mean that this year’s Christmas has only cost them fifteen pence! But next door, commercialism is rampant – with Margo railing against tradesmen. David Battley is the tradesman in question, offering a wonderfully phlegmatic performance which was something of his trademark (a similar turn in The Beiderbecke Tapes immediately springs to mind). Margo’s unhappy that her tree – part of her Christmas delivery – is slightly under the required height, so she decides that everything will have to go back (it’s all or nothing for her). Given that it’s Christmas Eve this seems a little reckless. I know that the seventies was another era, but surely nobody would have been expecting another delivery on Christmas Day? And yet, this is the crux of the story. Suspension of disbelief also has to come into play when pondering the question as to why Margo’s left it so late to take delivery of all her Christmas provisions – not only the tree, but the food, drink and decorations. A severe lack of forward planning? The upshot is that when no fresh delivery is forthcoming, she’s forced to ring up all her friends and fob them off from coming around (claiming that Jerry has chickenpox and therefore is out of bounds for the duration). Jerry’s “political” chickenpox cheers him up, as he – naturally enough – wasn’t looking forward to spending yet another Christmas with all their friends, mouthing the same pointless trivialities at the same round of endless parties. I daresay his wish (which came true) to simply have a quiet Christmas at home would have struck a chord with many …. So Margo and Jerry spend Christmas Day with Tom and Barbara. It may just have been the especially potent peapod burgundy, but Jerry does get rather frisky with Barbara (although you can’t really blame him). The same sort of sexual tension doesn’t crackle with Tom and Margo (the mind boggles at the thought of that) but they do share a rather intimate scene in the privacy of the kitchen – although this is more about Tom forcing Margo to unbend a little, and embrace their silly Christmas revels. It’s rather touching that Margo confesses that she’d like to, but simply doesn’t know how. But it doesn’t take long before she’s completely warmed up and throwing herself into all the party games with gusto. Some sitcom Christmas specials, especially from the eighties onwards, tended to offer something more expansive than their usual fare. Silly, but it’s fun revels in the fact that nothing much happens except that the Goods and the Leadbetters have a jolly enjoyable Christmas day. This embrace of simple pleasures might be one of the reasons why the episode always seems to strike a pleasing chord whenever it makes another Christmas appearance. Simply Media will be releasing Roobarb & Custard – The Complete Collection on the 16th of May 2016. Review here. More than 40 years after making their debut on British TV screens, and over a decade since their return, green dog and pink cat Roobarb and Custard are bounding back into view again, accompanied by their ubiquitous theme tune (acclaimed as one of finest children’s TV title songs ever). The groundbreaking animated series and its sequel are being paired together for the first time ever on a DVD due to be released as Roobarb and Custard: The Complete Collection on 16 May 2016 courtesy of Simply Media. Famed for both entertaining kids at the end of children’s TV programming, and, ahead of the teatime BBC news, wooing a cult audience of grown-ups, Roobarb and Custard is instantly recognisable, from its distinctive theme tune, penned by library legend Johnny Hawksworth (Man About the House), to its crazy lead characters. That theme tune was even sampled for a rave friendly chart version in the early 1990s. Simply Media’s splendid new DVD release pairs the original 30 episodes from the 1974 series – the first fully animated television series to be made in the UK – as well as the 2005 Roobarb And Custard Too series, comprising of 39 episodes. Both come from the mind of original creator Bob Godfrey (Henry’s Cat) and each feature the distinctive narration of British comedy legend Richard Briers (The Good Life). Each of the two series features the antics of the green dog Roobarb and his outlandish schemes and hapless plans, seemingly forever foiled by his next-door nemesis, pink cat Custard. 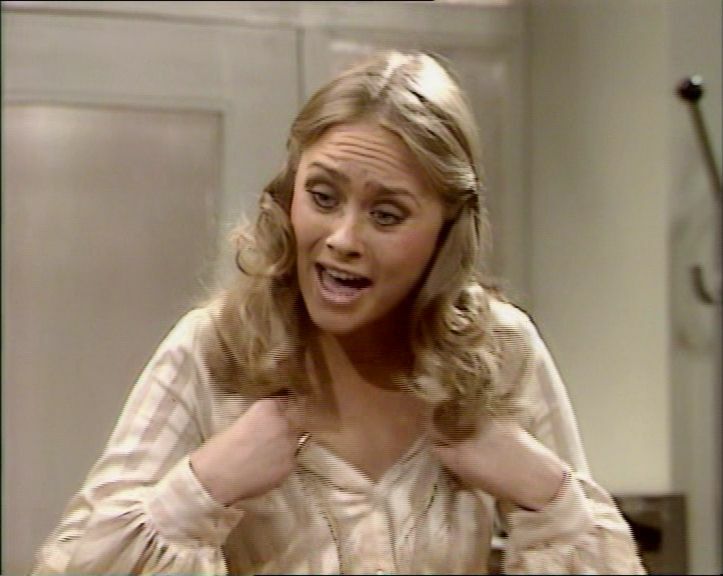 One major theme running throughout so much of British comedy during the 1970’s was that of sexual frustration. The Carry On’s, Benny Hill and Les Dawson’s Cosmo Smallpiece are just some examples of the typically frustrated British comedy male. Richard Briers as Henry Fairlane in Swop You One Of These For One Of Those is another prime example. Briers is perfect as the twitchy forty-something, desperately yearning for new horizons and as luck would have it, his colleague Roger Gresham (Henry McGee) has the answer – an invitation to a wife-swopping party. You couldn’t really get any more 1970’s than that! Henry’s keen, but Roger tells him that he has to make sure he brings his wife along – no wife, no entry. Come the night of the party and Henry’s been separated from his wife – he lost her at Belsize Park tube station. Roger refuses to let him in without her, so he has to keep a lonely vigil outside, watching enviously as numerous other couples gain admittance. The frustration part is key to the comedy – Henry has to remain constantly unfulfilled – otherwise the joke doesn’t work. 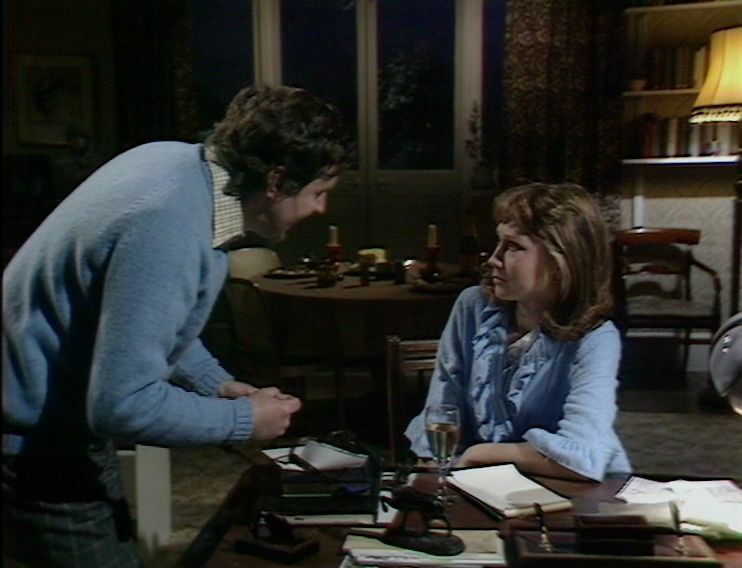 Eventually, Henry’s wife Linda (Jan Waters) does turn up – just as Henry stepped away from the door. Roger’s delighted to see her and and instantly lets her in (after some hesitation she throws herself into the party with gusto). So by the time the party’s over, Linda’s had a great time (with many different people) and poor Henry’s been stuck outside the whole time. Henry, like so many comedy characters from this decade, is forced to constantly have his nose pressed to the glass, watching others enjoy themselves. Richard Briers gives a very nice turn and Henry McGee (a familiar Benny Hill stooge) makes an impression as one of the oldest swingers in town. It’s also good to briefly see the imposing figure of Peggy Ann Clifford. She made a memorable non-speaking appearance in The Missing Page episode of Hancock’s Half Hour as the woman who watches Tony mime the plot of a particularly exciting book. Swop You One Of These For One Of Those is a step up from Car Along The Pass and is, if nothing else, a good time-capsule of the period. By 1975 John Esmonde and Bob Larby were a well-established writing team (responsible for hit series such as Please Sir!). When creating The Good Life they started with pretty much a blank slate – they knew that Richard Briers would star (since the BBC were keen to have Briers appear in another sitcom) but everything else was up for grabs. The first moment of inspiration came when Esmonde and Larby realised that both Briers and Larby were coming up to the age of forty – as Larby said, it was one of those “Oh God!” ages. So it was decided that Briers’ character would be facing some mid-life crisis, but what form would this take? Thoughts such as his character deciding to resign his job and sail around the world or live on a desert island were kicked around (though not terribly seriously) before they hit upon the idea of a man totally fed up with his job and the whole rat-race existence. So he decides to “drop out” and become self sufficient. This was a decent idea and the logical move would have been for him to sell his house and buy a place in the country. But in a stroke of genius, Esmonde and Larby decided that Briers’ character (Tom Good) would do no such thing – instead his house and garden (in the middle of Surbiton) would be turned into a mini-farm, complete with animals, vegetables and all the other paraphernalia that it entailed. With this initial concept decided, the rest of the small cast fell into place. Felicity Kendall was Barbara, Tom’s long-suffering wife whilst Penelope Keith and Paul Eddington would be the Good’s long suffering next-door neighbours, Margo and Jerry. Larby conceded that had Margo and Jerry simply been relentlessly disapproving then the series wouldn’t have worked very well. Margo and Jerry are Tom and Barbara’s best friends and it’s the conflict between their friendship and their disapproval of the Good’s new lifestyle which drives some of the comedy along. The first episode, Plough Your Own Furrow, is an interesting one. It’s not wall-to-wall laughs, as there’s space when the characters (especially Tom) pause to reflect upon the course of their life so far. Partly this may be because it was the first episode of a new series – as time went on, the audiences would become more attuned to the characters, the writing and the style of the programme and be more inclined to show their approval. As the episode opens, we see Tom celebrating his 40th birthday. He’s clearly a man searching for something which is, at that time, undefinable. It’s quality of life. That’s what I’m after. If I could just get it right. I’ll tackle it and get it right, as soon as I know what it is. It’s clear that he isn’t getting any job satisfaction. A whole host of small irritations are highlighted – such as the office car-park attendant knowing Jerry’s name, but not Tom’s (“I’ve really made an impact with you over the years, haven’t I? Cor blimey, I’ve only been here eight years.”) and the fact there was an office cricket team but nobody thought to ask him (“We didn’t need to. We got my dad to umpire”). This is another indication that Tom is standing still at best or even moving backwards. Everybody else in his department is in their twenties, so what does the future hold for Tom? Jerry joined the company at the same time as Tom, but he’s ascended to the executive level whilst Tom remains stuck on the fourth floor, engaged in vital work such as designing a toy hippo to be included as a free gift in a popular brand of breakfast cereal. Jerry spells it out to Tom. We joined this company – what, eight years ago, wasn’t it it? And do you know something? I was frightened of you then. You were a better draughtsman than I was and you had better qualifications than mine. I was going to have to rely on pure cunning just to keep up with you. Still, I needn’t have bothered, need I? Cos look at us. I’m up here and you’re down there, not getting picked for cricket teams. And why? Because you use about one tenth of your ability. I have to use all mine and what I lack I make up with sheer, bloody crawling. Then Sir (Reginald Marsh) joins Tom and Jerry (and every time I type their names I assume that Esmonde and Larby picked those names as a tribute to a popular cat and mouse partnership) for a chat about his latest top-secret project. The bubble has just come off the top of the think-tank and I don’t mind telling you that this is an absolute blockbuster of an idea. It’s going to put our wildlife preservation series in the vanguard of world mouldings. Our mould is going to be a giraffe! And Tom, I’m thinking of putting this giraffe on your plate. Tom has the chance to advance his career with some “bloody crawling” but his hysterical laughter at the giraffe news scuppers this. This is point when Tom finally realises the futility of his job (“You should have heard Sir. You’d think he’d invented penicillin. I couldn’t help laughing”). There has to be more to life, but what? Then Tom has a lightbulb moment, which he explains to Barbara. I quit work and we become as damned near self-sufficient as possible. We’ve got bags of garden, we grown our own food. We keep some animals, chickens, a pig. We produce our own energy, recycle rubbish. We design the things we need. I’ll show you what being a draughtsman is really all about. Now , some things we can’t make, right. Some things we can’t grow, right. So we flog our surplus and buy stuff, and that’s without good old Medieval barter. It’ll be damned hard work. We won’t have much in the way of mod cons, but we might enjoy discovering what we can do without. And we won’t need the world and his wife to give us the yea or nay. It’ll be just us, doing it for us. What do you think, eh? This monologue is the essence of the series. And Barbara’s reaction is interesting. The camera cuts back to her on several occasions and her expression is, at best, neutral. It would have been incredibly unrealistic for her to instantly agree, so even though it’s the middle of the night she puts on her wellies and walks up and down the garden until she finally decides that yes, they’ll do it. This naturally results in a celebration – and as they dance in the fishpond the noise wakes up the Ledbetters next door. We see Jerry, but only hear Margo (in this episode we don’t see Penelope Keith). And the next morning Tom has been up good and early. He’s sold his car and bought a plough, so he can start on the back garden and take the first step on the road to self-sufficiency.